Attending a local fair is a summer essential in Wisconsin, and our residents at Augusta Health and Rehabilitation experienced a taste of the classic county fair last week! Jahn Bradley, Director of Augusta Health and Rehabilitation, says County Fair Days has become an annual event held at the building. It is a time for residents and staff to get to know one another better, creates another reason for families to visit, and provides a week full of special events. 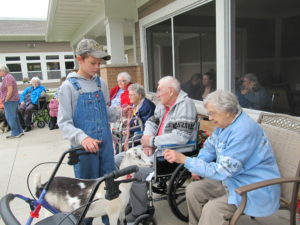 Some of our activities included show and tell about our favorites hobbies and collections, sharing garden and farm produce, a pie baking contest, and patio time with pets! 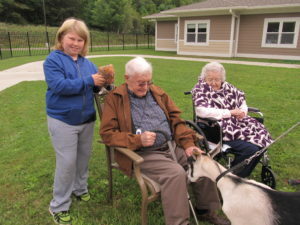 “Our residents really looked forward to meeting our staff members’ pets. Some of the animals include goats, chickens, rabbits, dogs, and cats,” said Bradley. “We are so thankful for our staff members who bring their pets to interact with our residents. It really is a valuable time for everyone involved, and a special time for folks who are no longer able to care for a pet,” Bradley added. We had amazing participation from our residents, families, staff and community. Local artists shared their talents, as arts and crafts of all types filled the community room. A display of antiques was of interest to many. While the Antique Road Show was in progress, residents tried on the antique hats that were donated by former resident Vivian Lambrecht’s family after her passing. A display of crops and garden produce were provided by community and staff. Friday’s Petting Zoo was a big hit with a nice variety of animals on hand. Each day a special treat topped off the afternoon social hour – we enjoyed donuts, fresh veggie sandwiches, homemade pie from the pie baking contest, root beer floats and funnel cakes. We all may have gained a pound or 2 – but a great time was had by all. We sincerely appreciate the support of everyone who participated and brought items to display! We thank all the folks who participated, visited, and helped make our week so much fun! Our County Fair Days was an excellent way to begin winding down our summer activities. We are very excited to announce the addition of three new skilled managers to our team! Cheryl Rihn is our new Director of Nursing. She had 27 years of experience and specializes in neurosurgery and infection control. In her free time, you’ll find Cheryl keeping up with her small apple orchard or baking wedding cakes for friends and family. Kalie Books is our new MDS Coordinator. Kalie has been working as a nurse in long term care for the last 14 years. On a beautiful western Wisconsin day Kaile enjoys the outdoors with her two spoiled dogs, Bella and Sierra. Aggie Wottreng is the our social worker. Aggie has gained various experience in skilled nursing facilities since her graduation from UW-Eau Claire in December 2010. She is looking forward getting to know the individuals who live at Augusta Health & Rehab. 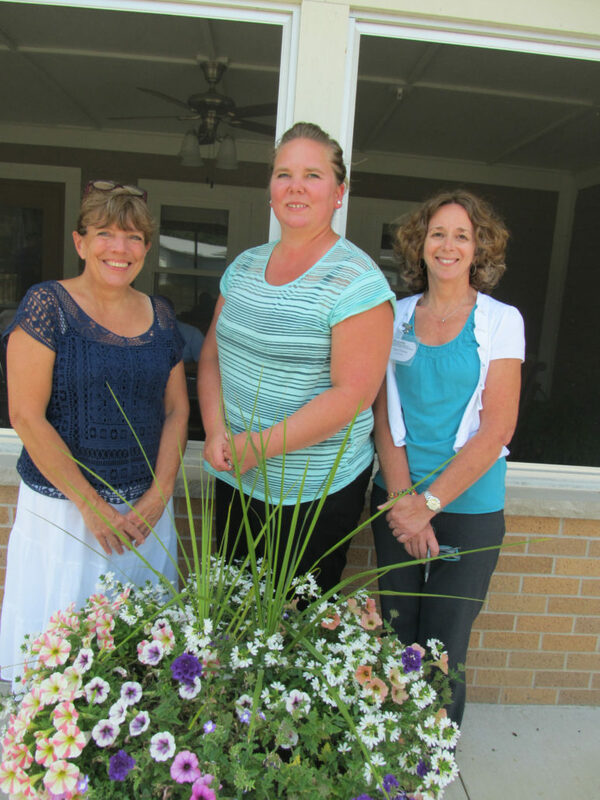 We are extremely excited to gain their experience and knowledge in the skilled nursing field. We look forward to working with them in the future of Augusta Rehab & Health. http://augustahealthandrehab.com/wp-content/uploads/2017/08/IMG_3095-e1502901925490.jpg 1570 2962 Taylor Pelissero http://augustahealthandrehab.com/wp-content/uploads/2016/09/Augusta-logo.png Taylor Pelissero2017-08-16 11:16:182018-01-31 12:06:56Welcoming Our New Managers! Read the latest from Augusta Health and Rehab! 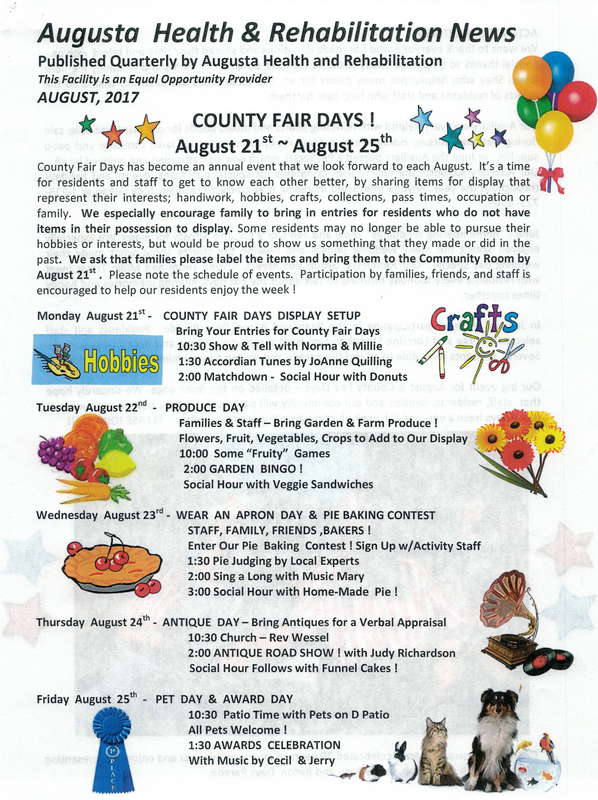 Our August newsletter includes information about County Fair Days, photos from some of our recent activities, and an introduction to our new managers. Click to read more.